Objective-C is a superset of the C programming language and provides object-oriented capabilities and a dynamic runtime. Objective-C inherits the syntax, primitive types, and flow control statements of C and adds syntax for defining classes and methods. It also adds language-level support for object graph management and object literals while providing dynamic typing and binding, deferring many responsibilities until runtime. Using MATLAB, you can analyze data, develop algorithms, and create models and applications. The language, tools, and built-in math functions enable you to explore multiple approaches and reach a solution faster than with spreadsheets or traditional programming languages, such as C/C++ or Java. Why do developers choose Objective-C? Why do you like Objective-C? Why do developers choose MATLAB? 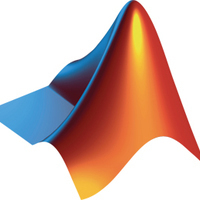 Why do you like MATLAB? What are the cons of using Objective-C? What are the cons of using MATLAB? How much does Objective-C cost? How much does MATLAB cost? 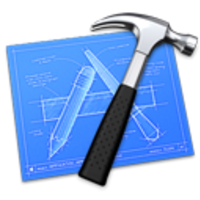 What tools integrate with Objective-C? What tools integrate with MATLAB? 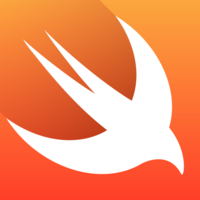 What are some alternatives to Swift, Objective-C, and MATLAB? Basically, the trajectory was we had our iOS app, which started out native, right? It started as a native app, and then we realized you have to go through a review process and it’s slow, and at a very early stage, it made sense for us to make it a wrapped web view. Basically, the app would open, and it would be a web view inside of it that we could iterate on quickly and change very rapidly and not have to wait for app store view process to change it. It wasn’t totally a native experience, but it was as actually a pretty good experience and lasted for a very long time and was up until recently the foundation of our current mobile web experience, which is different from our app situation. So for a long time, basically, our app store iOS Instacart app was a wrapped web view of just our store, a condensed version of our store, which meant that we could add things. We could change sales. We could change the formatting. We could change the UI really fast and not have to worry about the app store review process. This all changed about a year ago, I would like to say, at which point it became a totally native app. We felt comfortable enough with the product and all the features that we made it a native experience and made it a fully featured app. While the majority of our stack is now using Swift, we still love Objective-C in many cases, especially low-level software manipulation, where it's just easier. It doesn't hurt that a lot of iOS/OS X Libraries out there are written in it either. We like to go native with iOS development, and Objective-C has been the only game in town until recent introduction of Swift. We're keeping an eye on Swift, but we aren't giving up on the [old way:to do:things]! PrometheanTV provides SDKs for IOS devices including support for the Objective-C language. For math calculation and solve partial differential equation numerically. I used to be an EE major so you can see where that comes from.